Luxurious yet traditional, Komandoo’s Jacuzzi Beach Villas make the perfect escape for those wanting a romantic get-away. Enjoy your own private deck looking out across Komandoo’s beautiful blue lagoon. Komandoo’s romantic Jacuzzi Beach villas are located just a few short steps away from the lagoon. 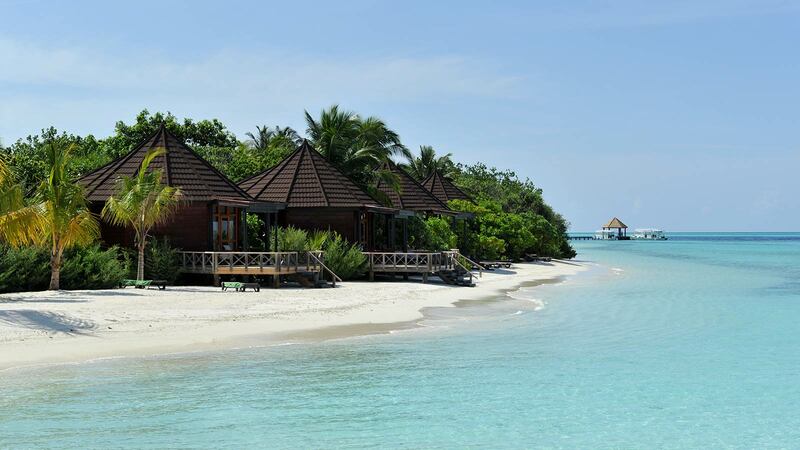 The elegant villas line the beautiful powdery white beach that encircles the tropical island. The proximity to the beach and features of the room make it the ideal romantic escape, perfect for a Maldives honeymoon. Enjoy the spacious bathroom with an outdoor patio and Jacuzzi to experience the true relaxation of the Maldives. Built on stilts over the lagoon, offering a spectacular view of the Indian Ocean. Rest your eyes on the sparkling sea and take delight in having the lagoon on your doorstep.